Mr. Eyton brings to the Board broad-based counsel which reflects his extensive legal experience, business acumen and ‘‘blue-chip’’ board experience. He also brings a balanced perspective reflecting a strong appreciation for issues from the perspectives of both senior management and board. 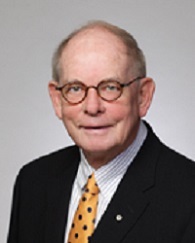 Mr. Eyton is a corporate director who served as a Member of the Senate of Canada from 1990 until his retirement in 2009. He is highly respected for his lengthy service with Brascan Limited, now known as Brookfield Asset Management, a Canadian-based, global asset manager focused on property, renewable power, infrastructure assets and private equity. Mr. Eyton served as Brascan’s President and Chief Executive Officer (1979 to 1991), as well as its Chairman and Senior Chairman (to 1997) and as a director (to 2014). Prior to his service with Brookfield, Mr. Eyton was a partner with the law firm Torys and has served on numerous public and private company boards, including that of General Motors Canada. Mr. Eyton has been appointed an Officer of the Order of Canada and Queen’s Counsel for Ontario. He has a B.A. (Toronto), as well as a J.D. (Toronto) and has received two honorary doctorates of law (Waterloo; King’s College (Dalhousie)). Other Public Company Boards: Silver Bear Resources Inc. (Audit; Compensation; Governance & Environmental); Ivernia Inc. (Compensation (Chair)); Cancana Resources Corp. (Audit, Compensation & Governance), and Brookfield Real Estate Services Inc. (Compensation and Governance).